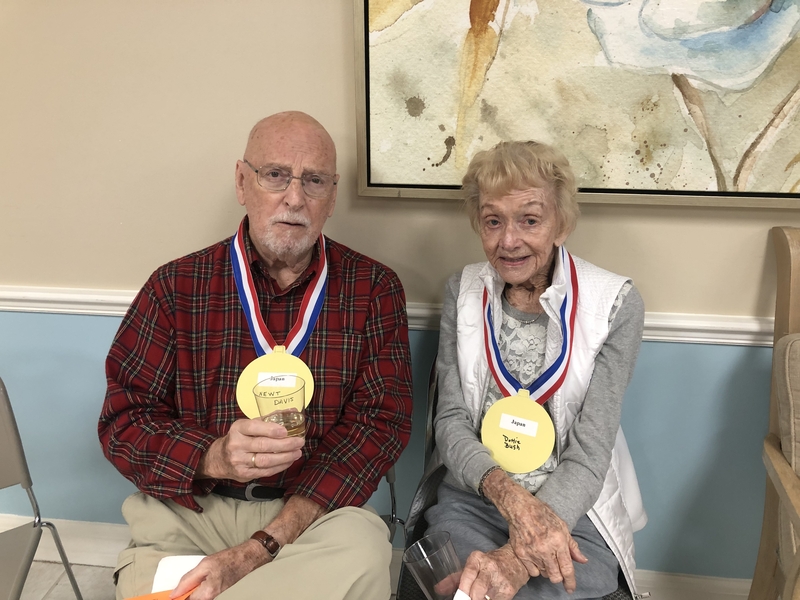 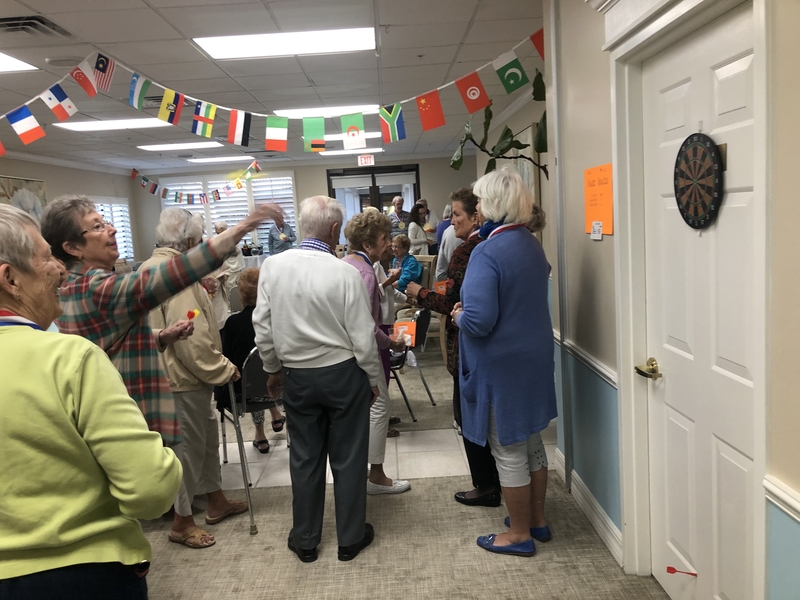 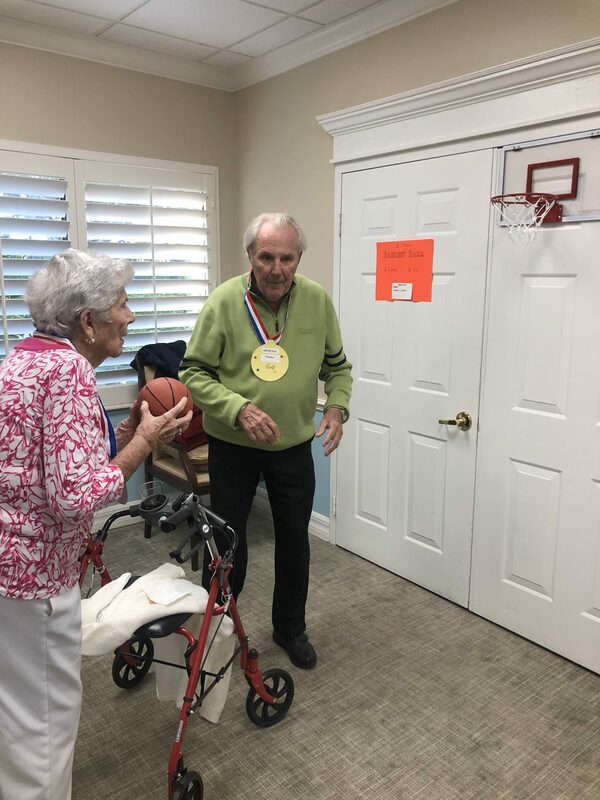 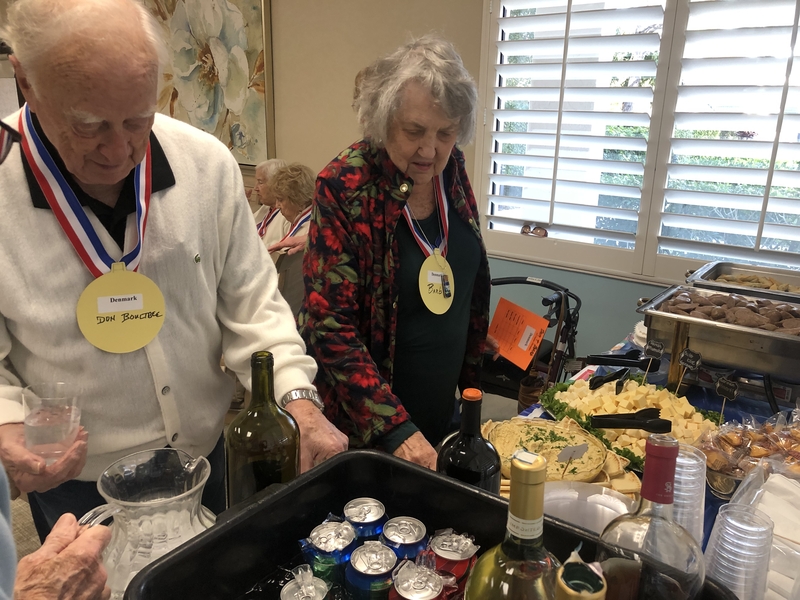 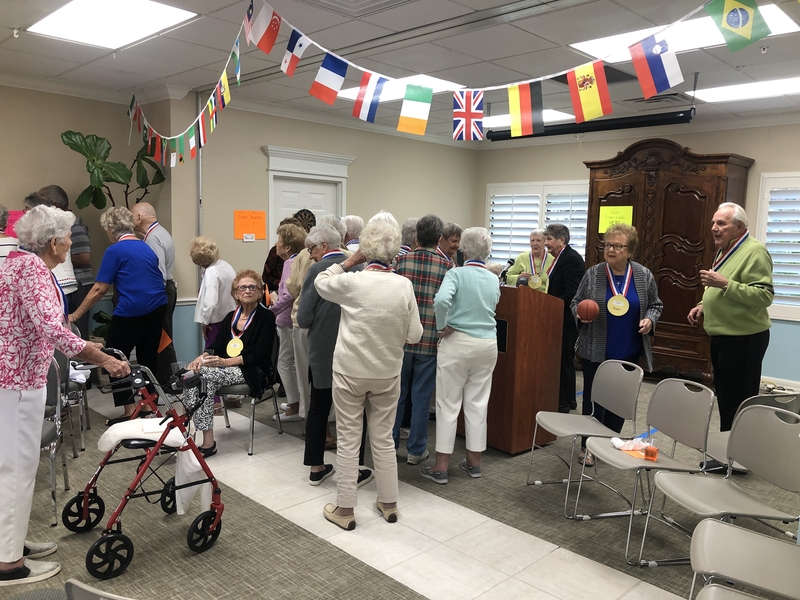 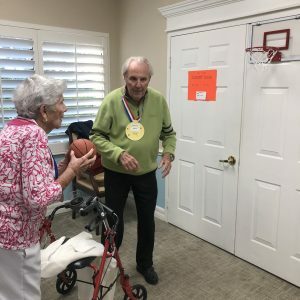 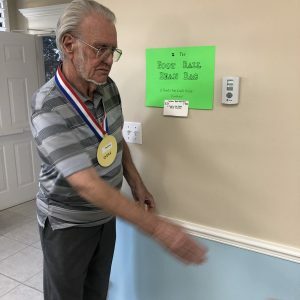 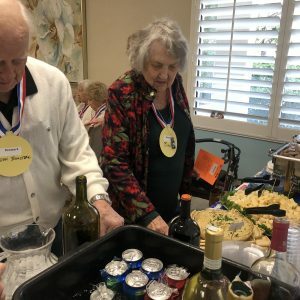 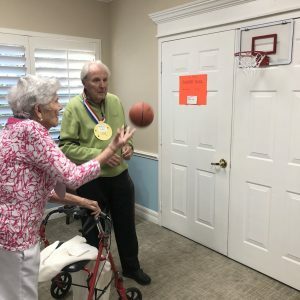 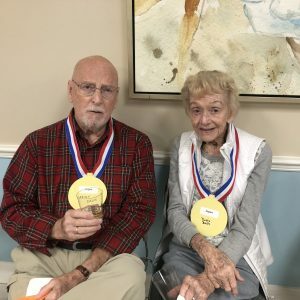 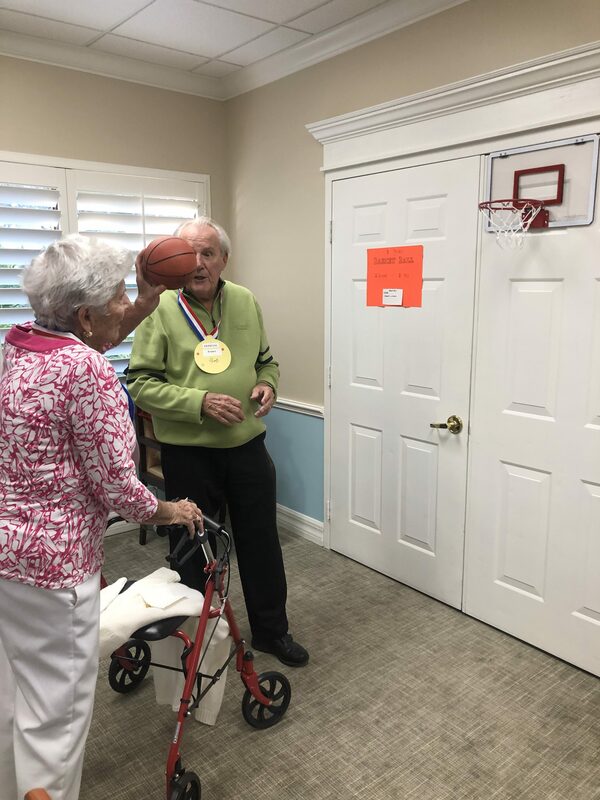 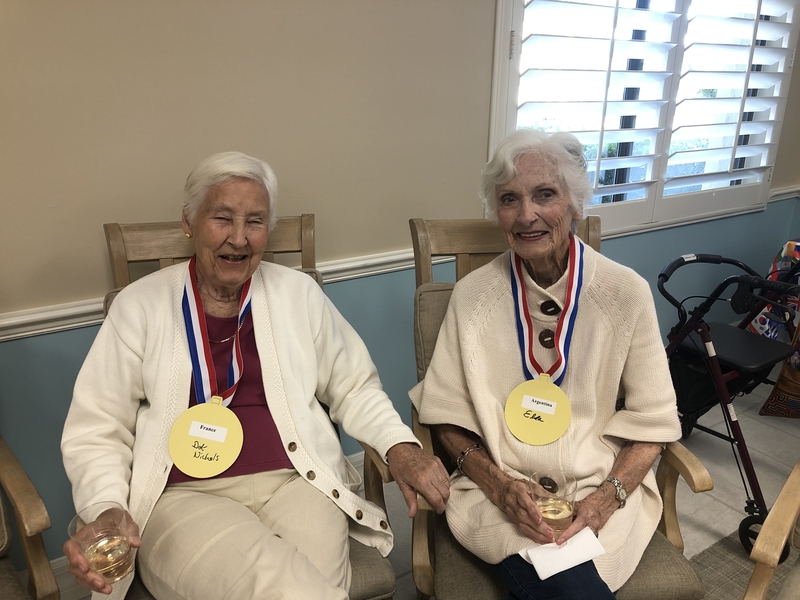 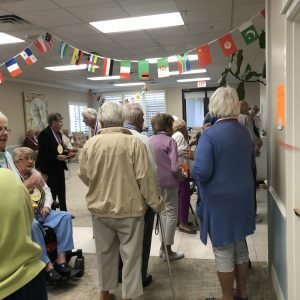 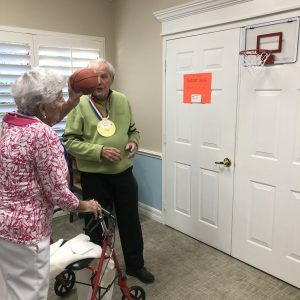 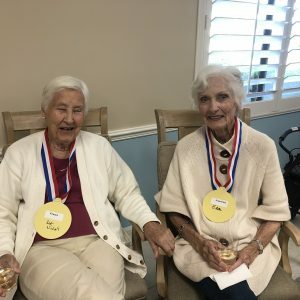 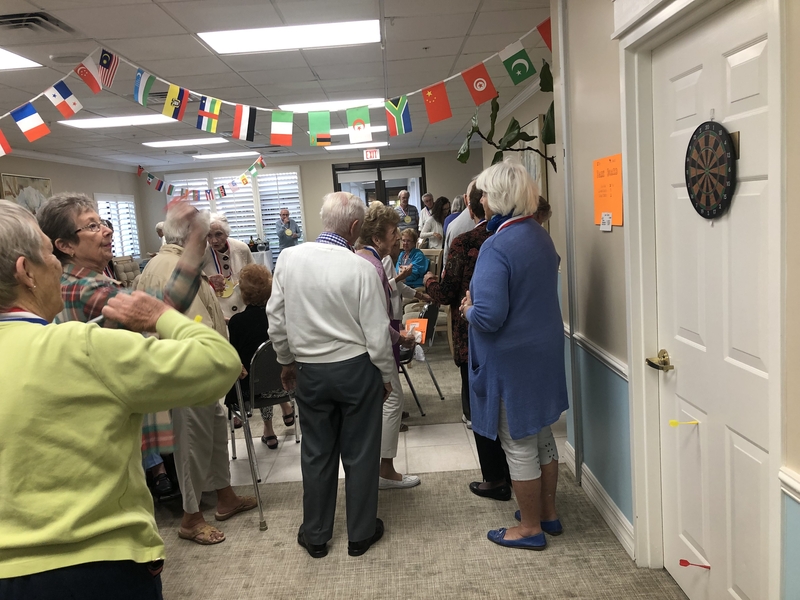 On January 10th the Arbor Trace Villa and Mid-Rise residents got together for the first annual Arbor Trace Condo Senior Olympics. 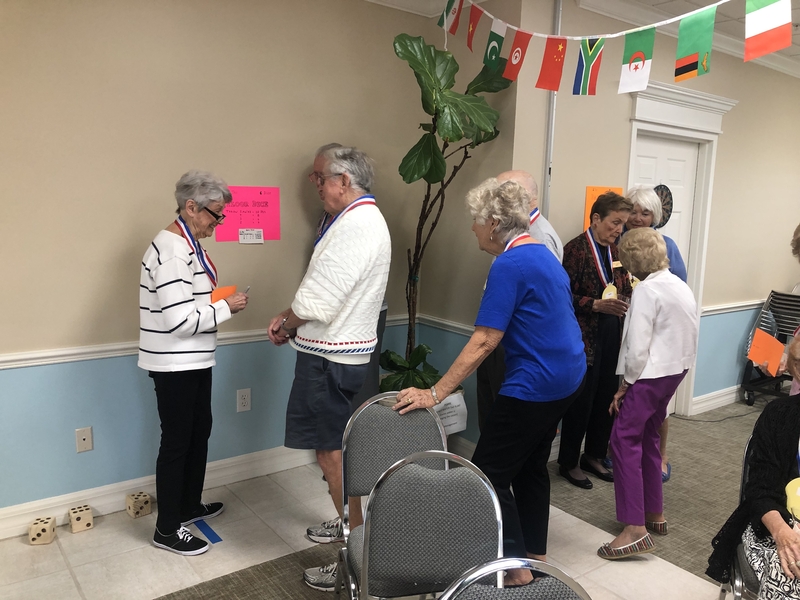 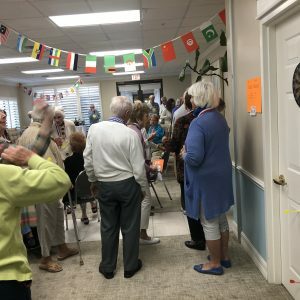 Participants were separated into different groups that were named after a Country. 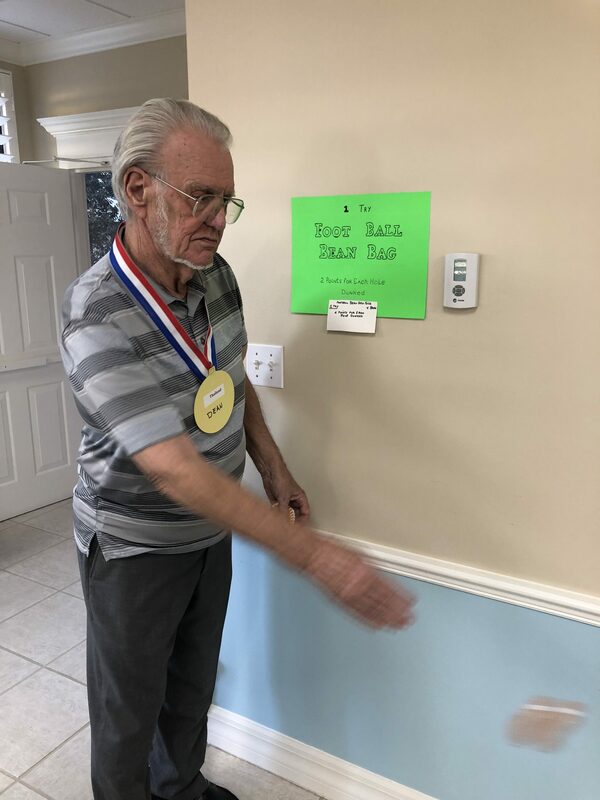 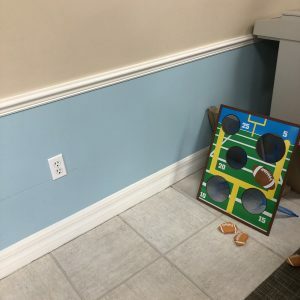 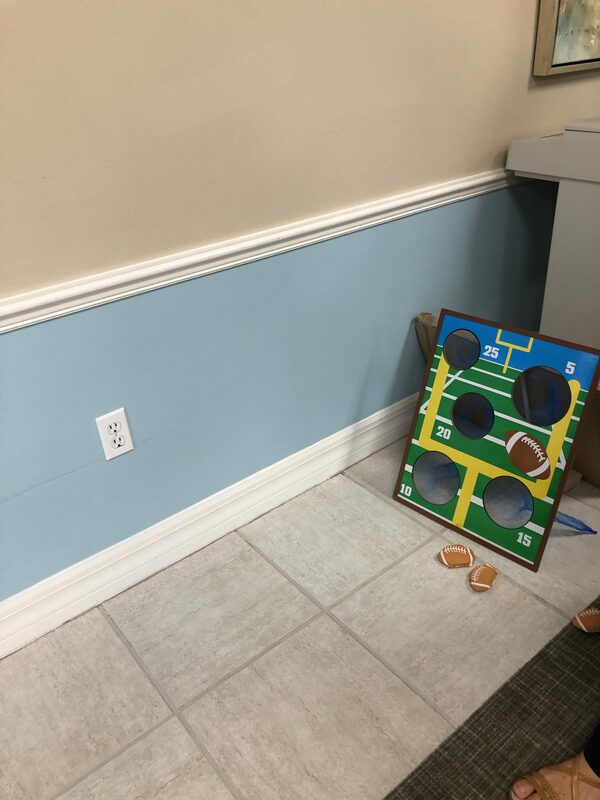 The countries then competed at an array of game stations including darts, basketball, football beanbag toss, & Yatzee dice throw. 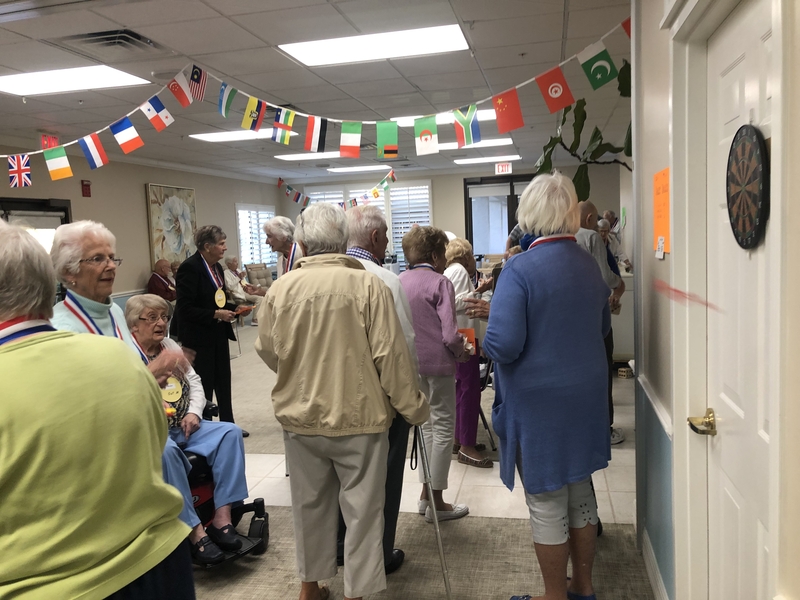 The Colonnade Room served a spread featuring finger foods from different countries around the world. 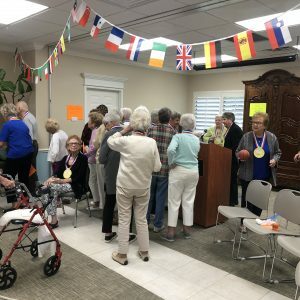 The winning country ended up being France! 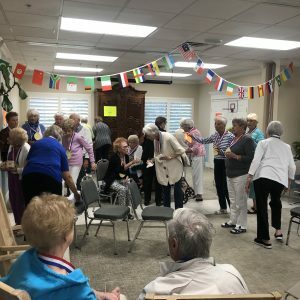 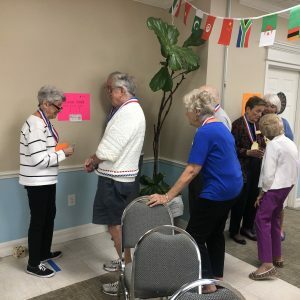 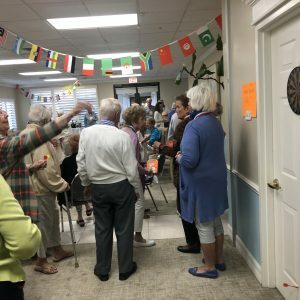 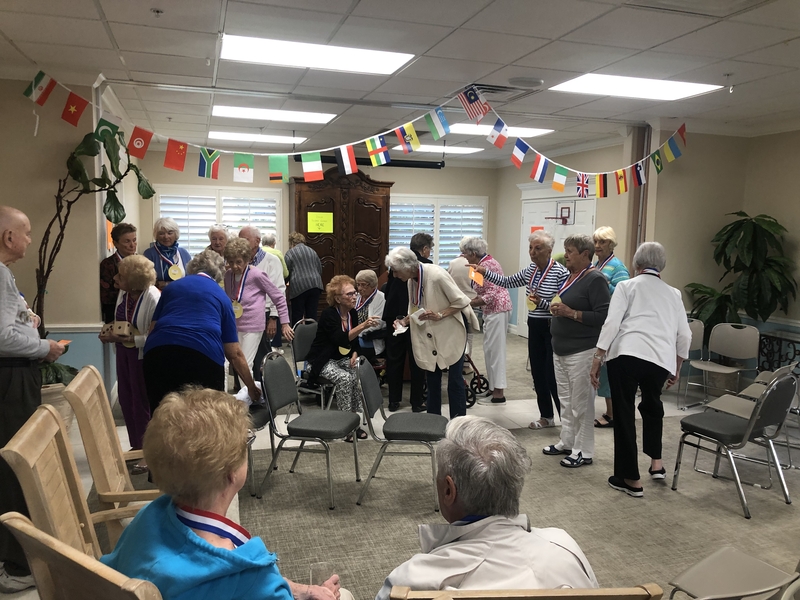 The resident winners received a shiny senior Olympic trophy. 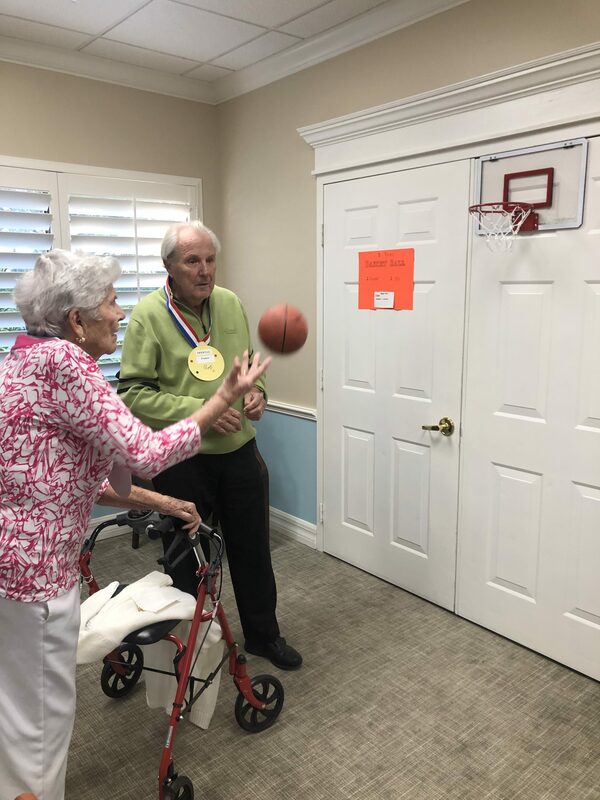 It was a fun afternoon of sports, friendly competition, but most importantly an opportunity to enjoy each others company.